This is a favorite of mine and it is always a hit with my guests. It's sort of a combo between an eggplant parmesan and a lasagne. It is easy to make and is great the next day. 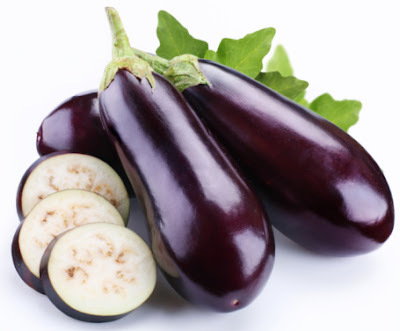 The key to keeping this light, is that you are going to bake the eggplant rather than frying it. This cuts a lot of calories, but you really lose no flavor whatsoever. 1 large Eggplant. Look for firm and shiny skin. 6 cups of Salsa Pomodoro, see the recipe below, or 2 jars of Marinara. Try to pick a good store brand, if you don't make your own. Preheat your oven to 375F. Slice your eggplant into 1/4 inch pieces and arrange them on a foil lined baking sheet. Brush with olive oil on both sides and lightly salt and pepper the slices. Then into the oven for 10 minutes, turn the slices over and back in for an additional 10 minutes. Watch them, as you want them soft but not mushy. Remove the eggplant from the oven and let the slices cool slightly. Take your baking dish and start with a layer of sauce, then add a layer of lasagne, then eggplant then cheese. Then a layer of lasagne, sauce, eggplant, cheese and so on until you reach the top. Finish off with the last bit of sauce and the Parmesan. Cover with foil and into the preheated 375F oven for 40 minutes. Remove from the oven and remove foil and allow it to rest for 5 minutes before serving. 1 28oz or 32 oz can of crushed San Marzano Tomatoes. If these are not available, I like Muir Glen Organic. As this is the base of your sauce, find the best tomatoes you can. Note: You need to use crushed tomatoes, as they are already quite thick, and since you are only cooking for 30 minutes, you don't have time to reduce whole or diced tomatoes. Put your tomatoes in a saucepan and bring to a soft simmer, add the other ingredients and simmer gently for about 25-30 minutes. Remove the garlic clove. You will know it's done when the oil separates.